The most accepted church organ tone generation technology is digital sampling for a simple reason: a well-designed and voiced digitally-sampled church organ offers the most realistic pipe organ sound. A comparison of digitally sampled stops and real pipe stops in the same room in a combination organ is the ultimate test of the quality of sampled voices. While the earliest form of digital sampling was introduced in church organs over forty years ago, the technology has not been static. Today’s digital organs include tens of thousands times the processing power and are as different from early digital organs as a modern laptop computer is from an early digital calculator. Some organ suppliers attempt to differentiate their products by promoting their technology as new or different. One company promotes a technology based on physical modeling, claiming that modeling is new and sampling is older and therefore inferior. This claim does not stand up to scrutiny. First, physical modeling is not new as it was introduced in musical instruments decades ago by Yamaha (and since no longer offered by Yamaha). 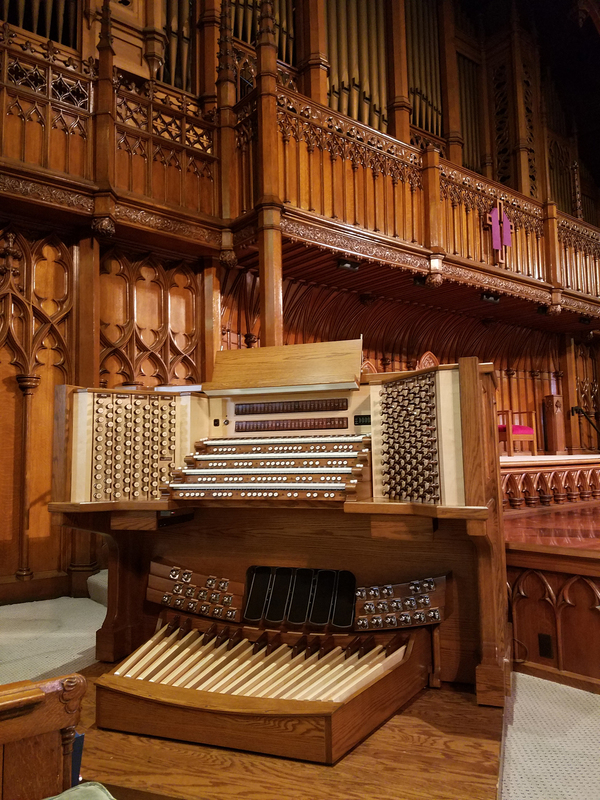 In addition, the same company that promotes physical modeling states: “Thanks to accurate audio reproduction and powerful reverberation effects …” An organ’s acoustical enhancement is an important part of its overall sonic realism. Digital reverberation has ceased to be state-of-the-art. Today, the more advanced convolution technology, exactly replicating real acoustics spaces from performance halls to cathedrals, is state-of-the-art. Irrespective of technology claims, it is ultimately tonal quality, detail and realism, that determine the value of any tone generation technology. A high-quality digitally-sampled organ properly voiced is indistinguishable from a real pipe voice by even highly trained organists. A modeled voice can, therefore, do no better. But, in reality, physical modeling produces a less realistic result. Sampling produces a precise duplicate of the original pipe sound and can, therefore, be used to exactly recreate the works of famous organ builders such as Schnitger, Silberman, Cavaillé-Coll, or Willis. Because a modeled voice only approximates a pipe, the sound it produces is generic. The choice is simple: modeling’s caricature of pipe organ sounds or sampling’s replication of real masterworks. Viscount includes in its technological claims: “with Physis, the parameters used to generate the sound are available so you can easily modify and mold the actual sound structure” and that the organs include: “…… a rich library of customizable settings and parameters”. If the original pipe organ sounds are correctly reproduced and properly scaled and voiced by the organ builder, why would such changes be required? The late world-renowned concert organist Carlo Curley wrote a fellow organist in November 2009 after playing an organ based on modeling: “Of course, before I heard and played the ‘Physis’, I was told by their salesman that this was the new system that will “change the digital organ world for the better forever”. Also, “as it is so revolutionary, it will force all the other digital builders out of business, due to the extraordinary technology and pure quality of tone that is simply light-years ahead of their nearest competition”.